We’re very happy to welcome Brendan Ashman, M.H.Sc.(Osteopathy). 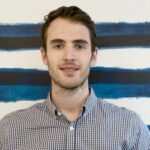 Brendan joins us from Melbourne, Australia where he graduated from Victoria University with a degree in Bachelor of Sciences (Clinical Science) and a Masters of Osteopathy. Osteopathy as studied in Australia has some differences from Osteopathy studied in Canada, with the treatments being more focused on joint manipulations and stretch mobilizations and remedial exercises – similar to physiotherapy! After working in Australia for 2 years, Brendan has recently made the move from Australia to Canada to further his osteopathic career. Brendan is dedicated to expanding his knowledge and osteopathic skills to provide the best treatment and management care for his clients and uses a wide range of techniques including massage, joint manipulation, stretching and rehabilitation to get the best outcomes possible for his patients. Whilst studying, Brendan worked as a sports trainer for Australian Football club, where his developed a passion for treating and managing sports injuries. This provided the necessary skills and experience needed for working with a wide range of clientele, which allowed Brendan to refine his treatment and rehabilitation skills to enable athletes or weekend warriors get back to their desired sports and activities. Brendan is passionate about educating his clients about their conditions and giving them the knowledge, tools and support to help them on their health journey. Brendan enjoys treating a wide range of conditions, including headaches, sporting injuries, back, neck and knee pain. Brendan has past experiences in playing basketball from the age of 12 playing domestically and representative basketball at a semi-professional level. Away from work Brendan, can be found in the gym, working on his strength training. In his down time Brendan enjoys travelling and spending time watching the NBA, NFL and Australian rules, and has recently taken up the winter sport of snowboarding.